this week, classic luk thung, lam phloen & more from chabaphrai namwai! like thongmai mali last post, miss chabaphrai of kalasin province brings us another set from doi inthanon's catalogue, this time dating further back to the 70's. chabaphrai gained her bona fides under molam sawai homsombat, and quickly earned a leading spot in the rung isan lam phloen and later khwanchai kalasin troupes. after gaining success with a few luk thung-style singles, she was able to form her own group and later became an instructor of molam at the kalasin college of dramatic arts, before she passed away in 2009. please enjoy this eclectic collection of her early recordings, and don't miss her second album at the fantastic saobao esan blog! Very nice, thanks for posting. 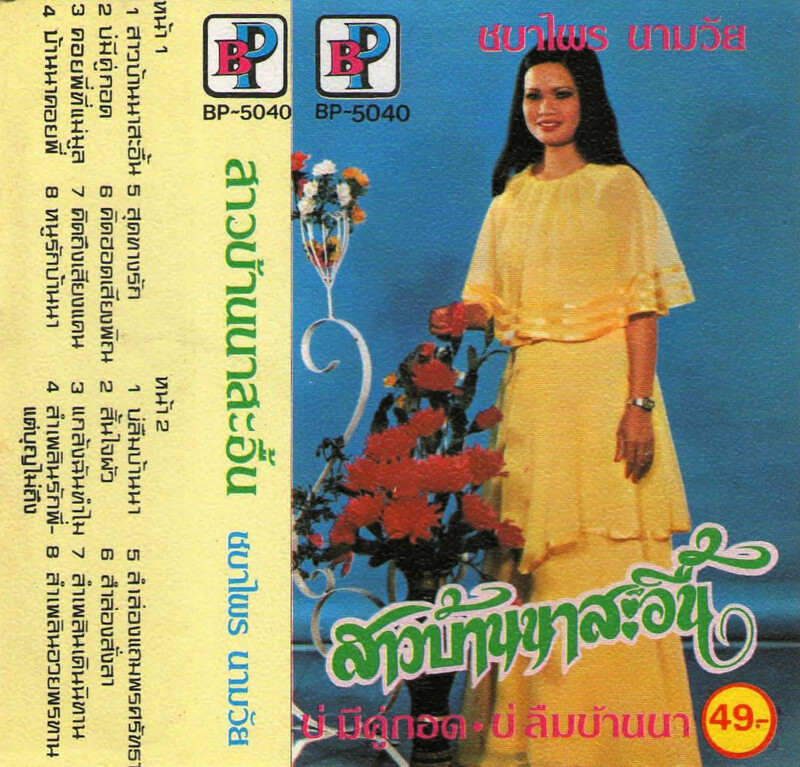 I enjoy this old Thai music.